A 13¢ Hawaii Missionary, ex-Weinberg and one of only seven recorded unused, brought $34,500 at the Robert A. Siegel sale in November. An example of the revised design of the 13¢ Hawaii Missionary, inscribed “H.I. & U.S. Postage,” realized $24,725 at Siegel’s auction of the Irwin Weinberg collection. A famous strip of three (and largest known multiple) of a scarce variety of the 1923 Harding Memorial 2¢ stamp, ex-Weinberg, was sold for $37,375 by Robert A. Siegel in November. A used example of the 5¢ type II Hawaii Missionary stamp, one of less than a dozen sound examples known, realized $23,000 at the Siegel auction in November of the late Irwin Weinberg’s holdings. An example of the Inverted Jenny issue owned by the late Irwin Weinberg sold for $299,000 at Robert A. Siegel’s auction of the former stamp dealer’s collection in November. Weinberg paid $68,750 for the error stamp in 1982. The stamp hobby owes much to people like the late, great Irwin Weinberg. According to the New York Times obituary published shortly after he died at age 88 on May 2 of this year, Weinberg, a lifelong stamp dealer from Wilkes-Barre, Pa., became convinced in the late 1960s that inflation was coming, and that stamps would be the perfect hedge. He drummed up some investors and began an ambitious buying spree. In a short space of time, he purchased several Jenny Inverts, the iconic 24¢ airmail errors of 1918, and in a headline-making event, paid a then-record $280,000 for the unique British Guiana 1¢ Magenta of 1856. 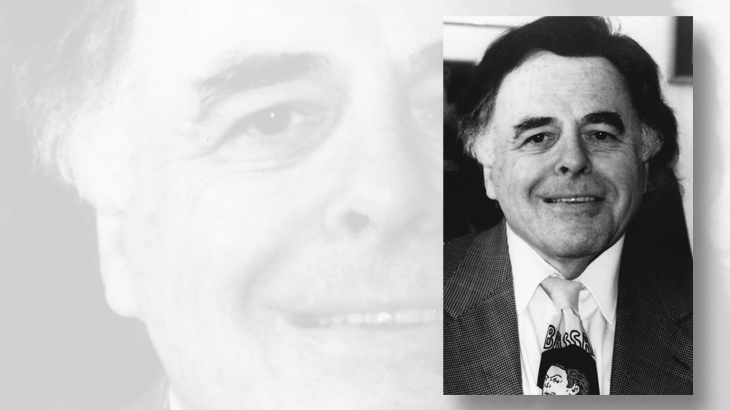 Irwin R. Weinberg, once owner of 1¢ Magenta, dies at 88: Throughout the 1970s, Irwin R. Weinberg gracefully negotiated life in the public spotlight as an owner of the world’s most valuable stamp, the famed 1856 British Guiana 1¢ Magenta. Weinberg turned out to be right on both counts. The 1970s indeed brought high inflation, yet in spite of it, the sale of the 1¢ Magenta in 1980 for $935,000 represented a roughly 50 percent gain, in real terms, for Weinberg and his investors. Much of that profit was doubtless thanks to the publicity stunts for which Weinberg became famous: hopping around the globe, the famous rarity safely handcuffed to his wrist, he served as a one-man booster for the stamp’s — and the hobby’s — popularity. In 2014, when the 1¢ Magenta set a new record of $9.48 million in a Sotheby’s sale that also made worldwide headlines, Weinberg was in New York to witness it. Though his glory days as caretaker of the 1¢ Magenta were behind him, Weinberg maintained an inventory of many other rare and important stamps until his death. That impressive holding crossed the block at Robert A. Siegel Auction Galleries in New York City between Nov. 9-18. Of course, Weinberg’s stock included an Inverted Jenny (Scott C3a): position 100, the last stamp in the bottom row of the only sheet ever discovered. It has a straight edge at right and a bottom margin tab, but unlike many of the straight-edge examples from the side of the sheet, position 100 retains its original gum. It is lightly hinged. Until 1945, the stamp was part of a pair with the stamp above, position 90. In the 1950s, the stamp resided for a time in Cuba in the collection of Rafael Oriol, who fled the island with the stamp after Castro’s revolution. Weinberg first bought position 100 in 1982 for $68,750, according to Siegel’s excellent online resource, www.invertedjenny.com. He sold it privately a few months later and then bought it again in 2004, for $104,500. At the Washington 2006 stamp show, the stamp was offered on Weinberg’s behalf by Spink, who described it as having a small fault: a “slight diagonal crease through the margin and just affecting the stamp.” It apparently did not sell, and remained with Weinberg until he died. On Nov. 9, Siegel realized $299,000 for the stamp, including the 15 percent buyer’s premium the firm adds to all lots. Regarding the supposed crease noted by Spink, Siegel president Scott Trepel called it a “flat-plate paper/gum bend,” and said that the Philatelic Foundation had judged it natural and therefore not noteworthy. Weinberg’s inventory also included a famous strip of three of a very scarce variety of the 1923 Harding Memorial 2¢ stamp, printed on a rotary press but perforated gauge 11 (Scott 613), typical for the slightly smaller flat-plate version of the stamp. The strip, which except for another pair is the only known multiple of this sought-after variety, was discovered in 2007 by a dedicated collector sorting through shoeboxes filled with thousands of ordinary Harding stamps. After the strip was authenticated — a process that included a visit to the Smithsonian’s National Postal Museum to compare it to proofs of the original printing plates — it was sold at auction the same year for a handsome six-figure sum. However, the strip has been the subject of some controversy because of expertizers’ opinions that it was cleaned at some point. Cleaning is a no-no for most stamps and coins. While the firm of Matthew Bennett, which sold the strip in 2007, expressed “emphatic disagreement” with the notion that the strip had been cleaned, Siegel’s auction description acquiesced to the judgment. It sold for $37,375. Weinberg’s inventory also included a trio of Hawaii Missionary stamps, the fragile, primitive stamps produced in 1851-52 by early white settlers in the islands. The stamps were printed in blue on delicate paper, from movable type set by a newspaper office in Honolulu. There are two types of each denomination, distinguished by minor differences in the lettering. A used example of the 5¢ Missionary (Scott 2), type II, with the distinctively small “n” in “Cents,” was described as “essentially sound,” making it one of less than a dozen such examples known. Canceled twice by a seven-bar circular grid, with a light crease and tiny thin but none of the major faults or repairs that plague many Missionaries, it sold for $23,000. A 13¢ Missionary inscribed “Hawaiian Postage” (Scott 3), with only tiny repairs, is one of seven recorded unused. It brought $34,500. An example of the revised design, inscribed “H.I. & U.S. Postage” (4), with extensive repairs but only a faint cancel, sold for $24,725. Foreign stamps sold by Siegel in November, both from the Weinberg stock and other consignors, are reviewed in the International Pavilion section of the Dec. 19 issue of Linn’s.